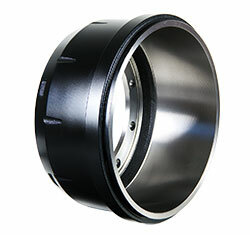 The economy achieved by using Frum brake drums certainly appears in the short term. As a result, brake drums, brake linings and tires will have a longer service life. All this is possible due to the premium materials used in its composition. Frum develops products with both higher thermal exchange and mechanical resistance, thus making braking more efficient and safer, thanks to the 60 years of experience in the manufacturing of brake components, massive investments in the discovery of new technologies and a strict quality system. When compared the price to the driven kilometers, the Frum brake drums are undoubtedly the ones with the best cost – benefits. In other words, Frum products go further. Manufactured in gray iron with the highest technology in foundry and machining, the Frum Brake Drums meet a large number of applications and specifications of the manufacturers. The Brake Drum absorbs heat during the braking friction, and a good thermal dissipation minimizes vibrations that cause part weariness, impairing performance. Its perfect circular surface produces, above all, a uniform distribution of the braking forces. 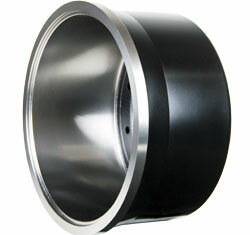 Frum Brake Drums are precision balanced and ensure an excellent adjustment of the vehicle brake system. 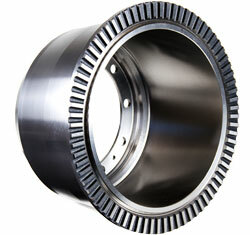 Frum Brake Drums are extremely durable. The painted exterior surface reduces rust formation, thus increasing corrosion resistance. Market leading company, with more than 60 years of experience.